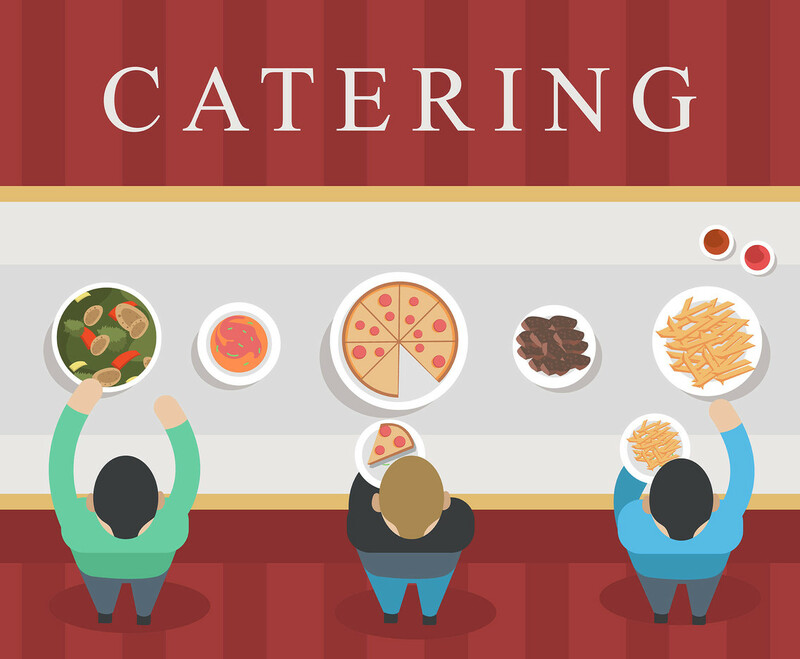 This illustration depicts a buffet arranged by a catering service in which the diners are serving themselves. I hope you can benefit from this. Enjoy!